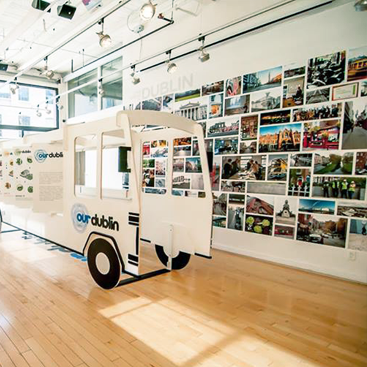 Collaborative design practice for a better world. Fostering collaboration between disciplines to create innovative local solutions to 21st century global challenges. The Institute without Boundaries (IwB) was founded in 2003 by the School of Design at George Brown College, in consultation with Bruce Mau. The IwB is a Toronto-based academic program and studio that offers unique educational experience and professional services. 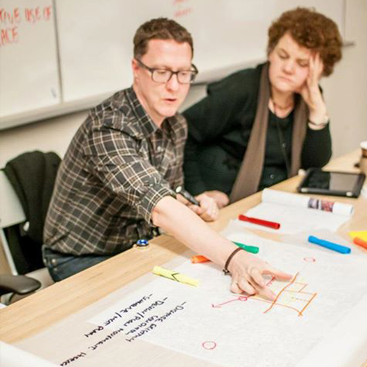 The Institute focuses on collaborative design practice with the objectives of social, ecological and economic innovation through design research and strategy. Central to the work of the IwB are real projects of public and global significance that are executed by students, faculty and industry experts either as part of the academic curriculum, research initiatives and/ or creative projects. The Institute has three divisions: an academic postgraduate certificate program called Interdisciplinary Design Strategy; a research division that supports special projects that further the IwB’s objectives, and a professional projects division that offers consulting services. As a top design training and research centre, the IwB is committed to collaborative and interdisciplinary design practice. At the Institute, we see the designer as a problem solver with the ability to affect positive change for humanity. We are a place where students, teachers, industry and community experts come together not only as creators and designers, but also as ambassadors of hope. We imagine how to live, learn, work, and play together as a global community and seek alternative development patterns and viable paths to a bright future. 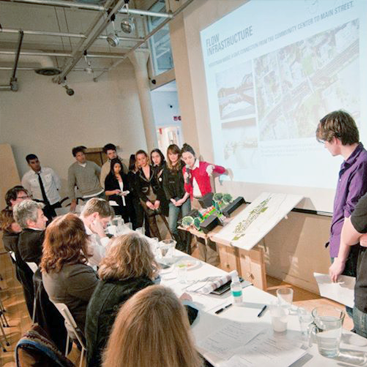 Azure Magazine listed the IwB among the top 4 schools for urban design. BusinessWeek lists George Brown’s School of Design in the top 60 best design institutes in the world.